From dishes to dirt, kitchens seem to always get filthy. Would not it be amazing if we could cook without having to clean? Maybe that is why going out to eat or getting take out some nights sounds so much better than cooking yourself. There is no need to dread cleaning your kitchen anymore because you can now clean your kitchen in an hour. Preparation: Set aside an hour on your day off to tackle your kitchen. In doing so, you will have more motivation than just trying to squeeze it in one random day. 0:00-15:00- The Fridge & The Pantry. Start your one-hour clean off by cleaning out your refrigerator and pantry. Take these 15 minutes to throw away any old or expired food. You may find some empty cereal boxes and jars that you can recycle. If you have non-perishable food items that you do not plan on using, consider donating them to your local food pantry. This time will be spent organizing your cupboards and moving around items. Sort through your dishes and discard any that are chipped or cracked. 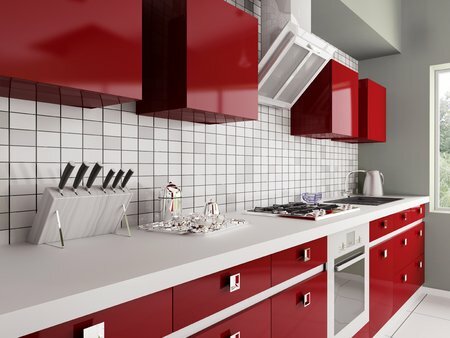 If you do not like the current layout, use this time to rearrange some items in your kitchen. Remember that you can recycle your glasses and donate your unused, good condition dishes. Put everything back into its proper place then you are ready to move onto the next step. Take into consideration the use and importance of each small appliance. If you never use it and it continues to gather dust, donate it. If you use it only seasonally, store it on one of the higher shelves. Now, sort through all of your pots and pans to determine their quality. Throw them out if they are no longer in good shape. 45:00-60:00- Sanitize & Clean. Now that you have probably broken a sweat, it is time to wipe down all the counters and appliances. Remove fingerprints from your large appliances and stains for your countertops. If you have time, you can polish your cabinets with some wood cleaner. Yay!! You did it! Now you can reward yourself after all your hard work. Notes for the future: Maximize your kitchen to work for you, rather than the opposite. Make sure surfaces are easy to clean and choose a material that doesn’t harbor mold or bacteria. Tile is the most popular material in the kitchen for a reason! It will not absorb odors, it can be easily sanitized, and clean up is a breeze. Tile is perfect for the floor, counters, and backsplash in your kitchen! With owning a home, there comes a lot of responsibility. Keeping up with your home’s maintenance should eventually become a routine. But first, you must know what things need maintaining. Siding. Your home’s siding should be inspected annually. It is important to look for any deterioration or separation in your home’s siding. The benefit of checking your siding will help prevent the growth of mildew/rotting. Floors. Keeping your floors clean is extremely important to its overall lifespan. You should be regularly vacuuming your carpet, but you will need to get your carpet professional cleaned at least once a year. Gutters & Drainage. 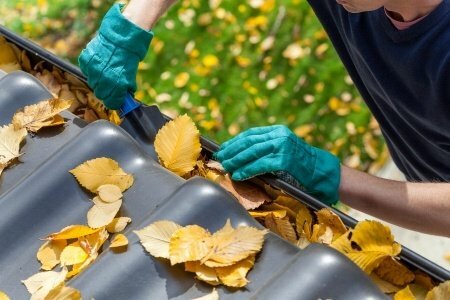 Especially during the spring and fall, you will need to clean out your gutters and outdoor drain system. There will be leftover leaves and dirt from the previous seasons that you will want to remove. Air Conditioning Filters. Inspect your air conditioning filters and look for dirt. Your filters should be checked monthly and should be replaced at the minimum every three months. Smoke/Carbon Dioxide Detectors. It is important to check that your detectors are fully functioning. You will be able to check your detectors by pressing “test” and the alarm will sound. Clean your kitchen disposal & dishwasher. Both your disposal and dishwasher can contain leftover food and residue. To clean your dishwasher, you will need to clean out its drain, do a vinegar rinse and a baking soda rinse. In order to clean your sink’s disposal, pour your vinegar in ice cube tray then place it in the freezer overnight. In the morning, put the vinegar ice cubes down your disposal while the disposal is running. Inspect your roof. This can be done annually, but it is important to check for any leaks. If you do find something wrong, contact a repairman immediately to attend to the problem. The maintenance of your house will help in the lifespan of your home. Make a checklist and consistently stick to it so that your home is always in great shape. Things will break and need to be fixed, but it is better to know as soon as possible and attend to it. Mold in your home is a serious issue requiring immediate attention. It can pop up anywhere in your house, but the most likely place you will find it is in your bathroom. Some of the conditions needed for mold to grow are damp and steamy areas, poorly ventilated rooms and from moisture on exposed plumbing . Sound familiar? Not to mention the environment created in your shower stall right after a shower or bath. Wet tile and shower liner, water beneath your shampoo and body wash, as well as an exposed soap bar make for a perfect storm in your bathroom. Mold almost seems impossible to prevent, unless you want to remove your soap and other shower items daily. Fortunately, with a few smart choices in material and design, there will be no need to simulate your last camping trip. 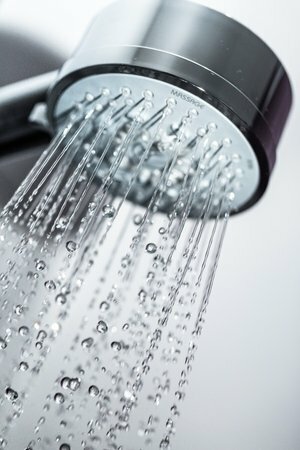 If a bathroom has not yet been installed, make sure the design includes waterproof material, which will prevent moisture from reaching difficult to access areas that can create a breeding ground for bacteria and mold to develop. Proper ventilation is also key to stopping this issue before it starts. Whether a window is present or not in the room, consider installing a bathroom fan that can be run during hot showers and baths to prevent steam from rising and causing mold in the wall tiles and ceiling. Existing bathrooms do not have the benefit of newer materials that would make it easier to keep the environment mold-free, so a little more hand-on work is required. If a ventilation fan is not currently installed in the room, adding one would go a long way in keeping the area dry. Use it during shower or bath time and for 30 minutes afterwards to keep moisture away. Consider minimizing bath products in the shower to ensure that there are less dark, wet spaces for bacteria to grow under. Before exiting the shower, use a towel or squeegee to wipe or scrape away as much moisture from the walls as possible. Finally, make sure to clean all exposed tile at least once a week. Children will be to heading back to school before too long and the summer full of activities is coming to an end. Time to look around and survey the house, perhaps cleaning up some unwanted items left by the kids. One item you may find is stuck-on candy. Many times when children (or their friends who are visiting) have candy, it can find its way to the carpet. 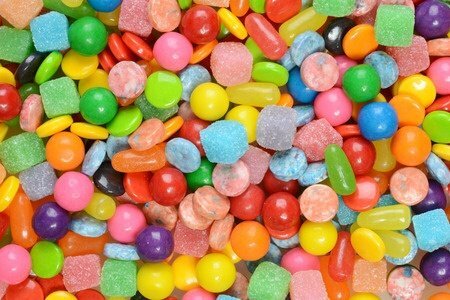 Find out how to remove candy stains from carpet below! Gently remove any chunks or excess of candy by hand. Gently work one (only one!) of the cleaning solutions from below into the stain. Be very careful not to rub stain into the carpet, but instead blot the stain, starting at the outside edges and working your way inside. This keeps the stain from spreading further. For best results, add solution to a spray bottle and spray on your carpet stains. A detergent solution is the safest way to remove candy from carpet. Mix 1 cup of warm water with 1/4 teaspoon of clear liquid hand dishwashing detergent. Avoid laundry detergent because the dyes in the detergent will stain the carpet. Also do not use dishwashing detergent (the kind that is used in the dishwasher) because they contain bleaching agents and dye. When using a detergent solution, it is important to rinse the carpet well afterwards. Any leftover residue will attract and show dirt. Ammonia cleaner is somewhat stronger than a vinegar solution. Ammonia solution should be tested before used on any stains. Mix a solution of 1 tablespoon of ammonia per one cup of water (do not use a stronger solution as it could discolor the carpet). Test a small, hidden area and watch for any color change. If a color change does occur, do not use the ammonia solution. Make sure to rinse the carpet area and blot up the excess ammonia solution with a dry clean towel. Hopefully this advice will help with your stain removal! If you find you cannot remove the stain to your satisfaction, please let us know. We are happy to answer questions and help in any way! Because bedrooms are our personal spaces, they often become quite messy and unorganized. However creating habits can keep a bedroom tidy. Here are 5 habits to do just that! Every room looks cleaner when the bed is made, even if the floor is messy. The best way to do it is to make your bed every single day as soon as you wake up. Not only will this help your room look and be cleaner but it will also be rewarding every night when you crawl into your nicely made bed. Often bedrooms will become messy because when we are picking out an outfit, we don’t put away or rehang the clothes we chose not to wear. If you don’t do this, you will have a mess of both clean and dirty clothes on your floor that will create chaos. Simply putting away the article of clothing as soon as you decide against it will save you lots of time. If the laundry bin is out of reach and hard to access, then you will be more likely to simply throw your dirty clothes on the floor after a long day. Put the laundry basket somewhere easy to access and close to where you usually get undressed. This will encourage you to put your clothes in the bin as soon as you change. Although it’s unconventional many of us do enjoy food and beverages in the bedroom. It’s easy to cast the dishes aside and forget about them because they aren’t in the kitchen. However these items will make a room look very dirty and unorganized. As soon as your finished eating or drinking, immediately take your dish to the kitchen. Another way bedrooms tend to get messy is because of work papers, books, etc. Not only does this make the room messy but it also brings the stress of daily life into a place of rest. If possible, store papers and books in your office or kitchen. If not, organize your papers either into your briefcase or closed drawers. So long as it’s out of sight and out of mind.